Later this week, on 19 and 20 April, the Cambridge Courtauld Russian Art Centre and the Van Abbemuseum, Eindhoven, will hold an international conference in Cambridge on The People’s Art School and Unovis in Vitebsk. Vitebsk, in present-day Belarus, was the home of an extraordinary avant-garde art school at which Marc Chagall (the town’s most famous son), Kazimir Malevich, and El Lissitsky taught. 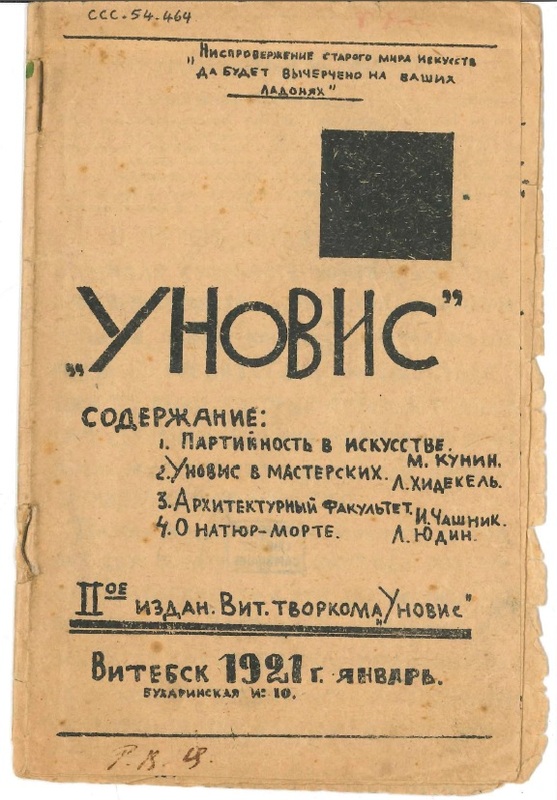 Many of the artists at the school joined the art union UNOVIS, set up by Malevich. Unovis stands for Utverditeli novogo iskusstva (Champions of the New Art). On its back cover, the booklet ends with an exhortation: “Comrades! Get ready for the all-Russian spring exhibition of ‘Unovis’ in Moscow”. Lithographed on poor-quality paper, the booklet is a rather miraculous survivor. According to the WorldCat and COPAC union catalogues, Cambridge is unique amongst major Western collections in having a copy. The title can be accessed through the Rare Books Reading Room. Its classmark is CCC.54.464. A few spaces remain at the conference this week. For those interested in attending, please see this page for joining details. 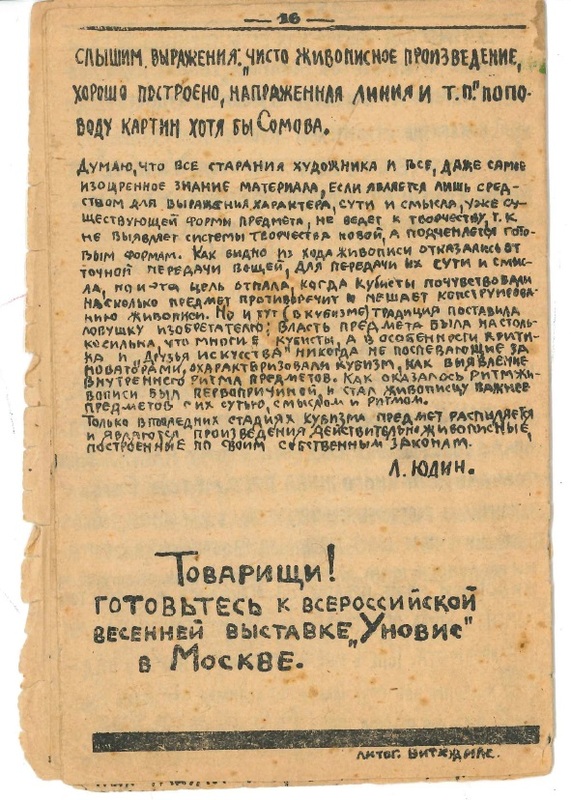 This entry was posted in Russian, Slavonic, Special collections and tagged art, avant-garde, Belarus, Soviet Union by europeancollections. Bookmark the permalink.